We replace aggression with understanding. We treat every client as a human being – not a case file. The Miller Law Group is not a typical family law or divorce law firm. While many other firms focus on litigation, attempting to obtain results for their clients through aggressive litigation tactics, we take a different approach. 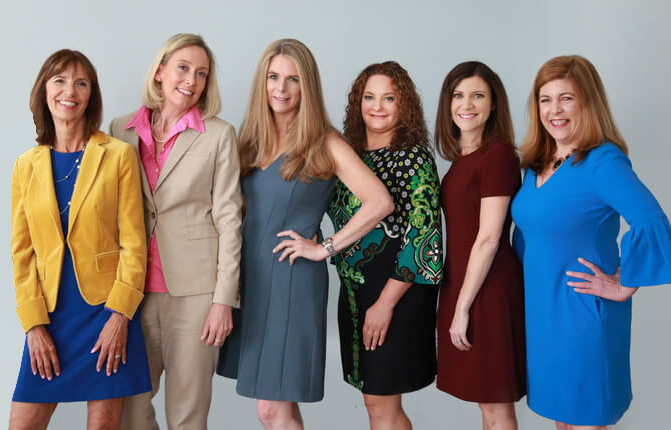 Our Westchester family lawyers believe in using collaboration and conversation to reach results that are fair for all parties involved in a range of family law matters for people in New York City, New Rochelle, and Westchester County. Our law firm will be your advocate throughout all stages of your issue. Even if you are in the beginning stages of coming to grips with the fact that you want a divorce, we are able to talk to you and provide guidance. If you are thinking about divorce or if you have made the ultimate decision to divorce, our Westchester family lawyers can help. Many people assume that calling a lawyer means fighting it out in court. They picture themselves losing control in heated courtroom disputes, and they anticipate that solutions must be handed down by judges. Fortunately, you have an alternative. What if you could have tools that give you greater power to resolve conflict and greater control over the solutions? At our law firm in New Rochelle and New York City, we advocate putting the needs of children first, respecting the parties and alleviating families’ stress and agony rather than compounding it. Our Westchester family lawyers use tools such as Collaborative Law and mediation to empower our clients. You can schedule a confidential consultation with one of our Westchester family attorneys or New York City divorce attorneys, even if you never end up filing. When life takes unexpected turns, you may need a skilled family law attorney in Westchester County. The Miller Law Group provides the legal counsel you need to develop creative and cost-effective solutions to your problems. Call our offices or email us online to discuss the circumstances of your case. The Child of Divorce/Single Parent Household Scholarship will award one student with $1,000 to be used toward their educational goals. Students who grew up in a single parent or divorced household are encouraged to share their story and explain how their experience challenged the social stigma and provided them with a prosperous environment. For more information about scholarship eligibility and the application process, please visit our scholarship page. For information on making the best decisions regarding your divorce and how to go about the process as smoothly as possible, join us on October 5th, 2018, for a presentation from divorce attorney Katherine Miller and divorce coach Richard Heller. For more information and details visit our event page here. Sarah Hechtman has practiced matrimonial and family law for over a decade and is a trained collaborative lawyer and family mediator. She has handled complex divorce cases involving substantial financial assets as well as highly contested child custody cases. Sarah has tried divorce and child custody cases in both the Supreme and Family Courts of New York State. Active in the practice of family law while litigating family law cases and working through my own divorce. Traditional divorce encourages resentment between spouses. My experience with non-traditional divorce gives me the ability to provide my clients with support and compassion they need to work through their legal issues. Shara Goldfarb is an experienced family law attorney who handles family law matters such as divorce, custody/visitation, relocation, and child support in Westchester County and New York City. She is a trained collaborative divorce attorney, mediator and litigator who focuses on assisting her clients to resolve their divorces with respect for one another and with the best interest of their children at heart. I developed a unique perspective in the practice of family law while litigating family law cases and working through my own divorce. Traditional divorce encourages resentment between spouses. Katherine’s strength as a mediator comes from a combination of legal, interpersonal and psychological savvy and skills. She helped us craft an agreement that was fair, legal and as amicable as possible. Her focus kept us on track through tumultuous times. The Miller Law Group is not a typical family law or divorce law firm. While many other firms focus on litigation, attempting to obtain results for their clients through aggressive litigation tactics, we understand and respect the emotional complexity of divorce and other family law disputes.